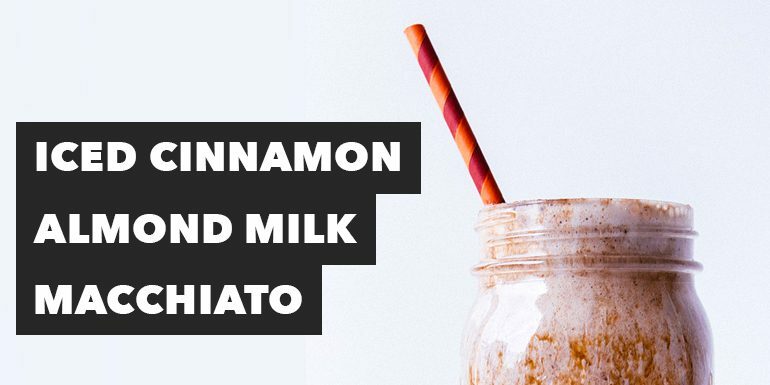 Both our version and theirs use unsweetened almond milk for flavoring, but unlike the fancy coffee houses’, this macchiato is packed with protein and skips the sugary syrups. If you’d rather not drink this beverage in layers, you can easily turn it into a smoothie by blending all of the ingredients together. For the bottom half, blend Vanilla or Vegan Vanilla Shakeology with unsweetened almond milk and ice. For the top, blend Café Latte or Café Latte Vegan Shakeology with unsweetened almond milk, cinnamon, and pure caramel extract. To replicate the layered effect, pour the milky layer into your glass first, while holding the glass at a slight angle, then carefully spoon the coffee layer on top. Swirl slightly with a straw and enjoy! Place almond milk, ice, and Shakeology in blender; cover. Blend until smooth. Pour into serving glass. Place glass in freezer while you blend the next layer. Place almond milk, ice, Shakeology, cinnamon, and extract in blender; cover. Blend until smooth. Slowly pour into serving glass over bottom layer.